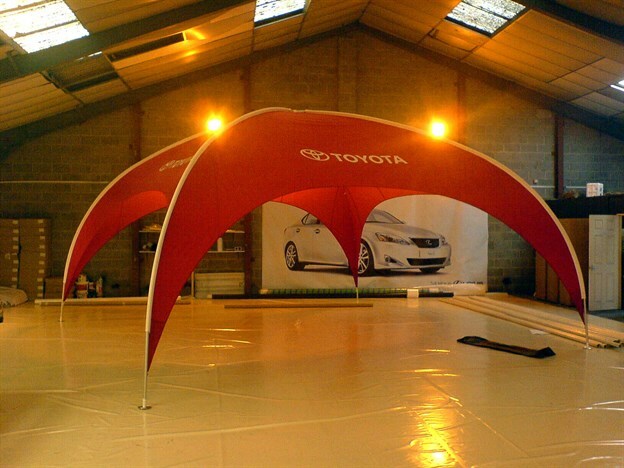 The Kogo is our five sided freestanding dome which works perfectly in a big exhibition hall as it offers an enclosed feel. 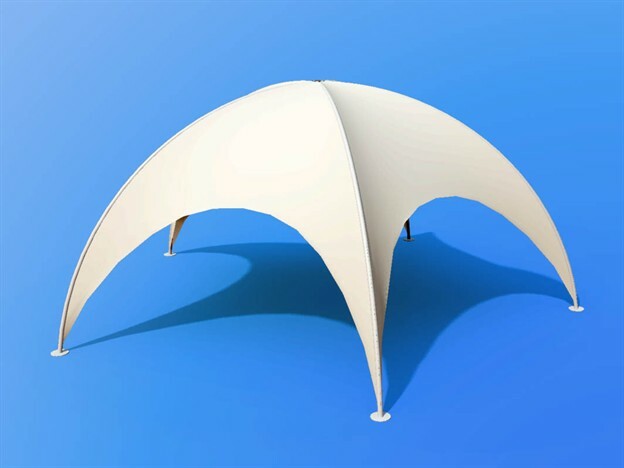 It can also be used outdoors and can withstand wind speeds up to 25 mph. The side walls can be zipped in for an even more contained feel.